It's a new year, and the new announcements for the winter anime season at Crunchyroll continue and Oreshura is the first of several titles slated to be unveiled today. This high school comedy, whose lengthy original name reads as Ore no Kanojo to Osananajimi ga Shuraba Sugiru (or, if you prefer, the short version: Oreshura) is set to broadcast every Saturday starting on January 5, at 9:00 am Pacific Time for premium members. Free members will be able to view one week after initial broadcast on Crunchyroll. 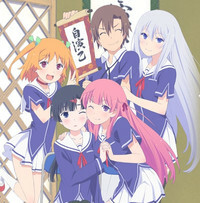 An adaptation of the light novel of the same name, Oreshura features voice actors Chinatsu Akasaki (Bodacious Space Pirates, Sacred Seven) and Ryota Ohsaka (Attack on Titan, OniAi, tsuritama) and direction by Kanta Kamei, who previously worked on Samurai Champloo and Kuroko’s Basketball. “The protagonist, Eita Kidou, is a high school freshman with excellent grades and a disdain for love. He used to live a regular school life with his childhood friend, Chiwa Harusaki, a girl who's nearly a sister to him, but then one day the school's most beautiful girl, Masuzu Natsukawa, confesses to him. 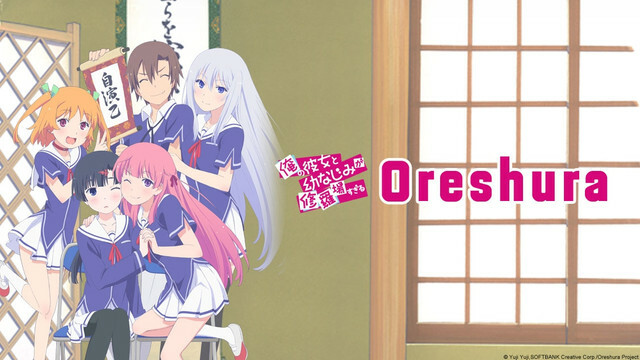 Oreshura will be available to the following Crunchyroll audiences: U.S., Canada, United Kingdom, Ireland, Australia, New Zealand, and South Africa. Latest Preview Shot of Live-Action "xxxHOLic"